The Pitt Family Life Skills Program aims to prepare student athletes for success while in college and for life after college. Photo by Thomas Altany | Courtesy of the Cathy and John Pelusi Family Life Skills Program. Colin Sisk has been a lifelong Pitt fan, even attending the last game at Pitt Stadium –– a 37-27 Pitt triumph against the Notre Dame Fighting Irish Nov. 13, 1999. So six years ago, when Sisk was just a first-year undergrad trying to get involved, he joined the football staff as an equipment manager in the fall of 2010. At age 24, he is now the coordinator of Life Skills for the Cathy and John Pelusi Family Life Skills Program, named after the former Pitt center on the 1976 national championship team and his wife. 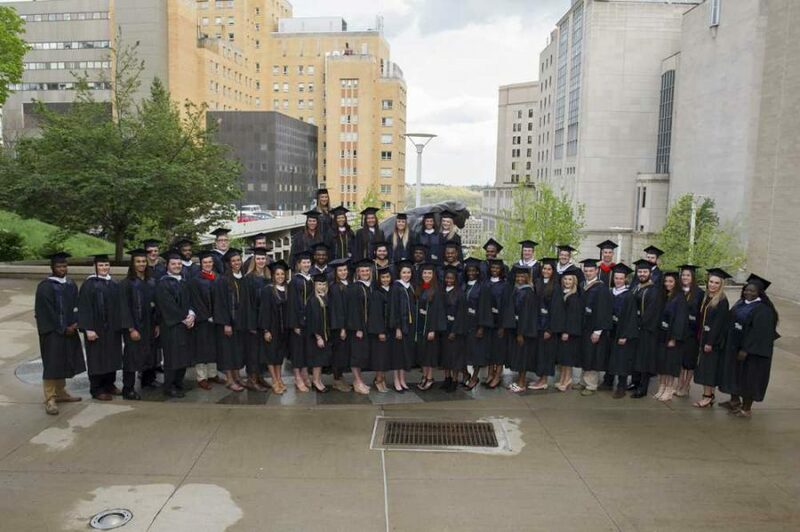 Initiated in 1995 as part of the NCAA’s pilot Life Skills Program, the Pitt Family Life Skills Program’s mission is to prepare student athletes for success while in college and for life after college. In order to do that, the program features eight ever-expanding commitment areas ranging from academic achievement to personal development to financial education and health and well-being. Including the grad assistant and grad intern, Pitt has seven staff members in the program, making it the largest Family Life Skills unit at any university in the country. Senior Associate Athletic Director for Student Life Penny Semaia oversees the entire Student Life program. His tasks include everything from day-to-day management to curriculum development to also working with student athletes one-on-one. “It’s my life calling. It’s something that I truly and genuinely enjoy: the day-to-day interactions with our student athletes, and also with the students on campus and general,” Semaia said. Semaia, who was an offensive lineman on Pitt’s football team from 1999-2004, got involved with the program in 2005 and worked his way up from coordinator of life skills to now senior associate athletic director. Sisk got to view the Pitt Life Skills program firsthand every day during his time as equipment manager. After spending five years as equipment manager, Sisk told Semaia he wanted to get more involved from a student affairs perspective. In May 2015, Semaia hired Sisk as a graduate intern. Shortly after, when the coordinator of life skills left to become an adviser, Sisk’s friends and family convinced him he should apply for the opening. Sure enough, Sisk got the job, and he hadn’t even received his master’s yet. As coordinator of life skills, Sisk is involved with the program in almost every way. He takes part in logistics prep and program support while also handling almost all of the program’s communication and social media work. The program is not a requirement for student athletes, but Sisk said they have received great buy ins from all of Pitt’s coaches and teams. The career development program teaches students how to craft a resumé or network at a career fair — foundational job-hunting skills they might not have picked up in their limited free time. Director of Life Skills Lisa Auld says it’s a special feeling when a student athlete she’s worked with gets a job opportunity. The aspect Sisk takes the most pride in, though, is when he gets to see the student athletes interacting with children during community service events. Like a proud mentor, Sisk described the athletes’ annual four-week mission trip to Haitian orphanages — a volunteer initiative that senior linebacker Mike Caprara has taken part in each year at Pitt, resulting in his placement on the 2016 AFCA Allstate Good Works Team.